Students build models of different coasters to investigate the physics behind them. 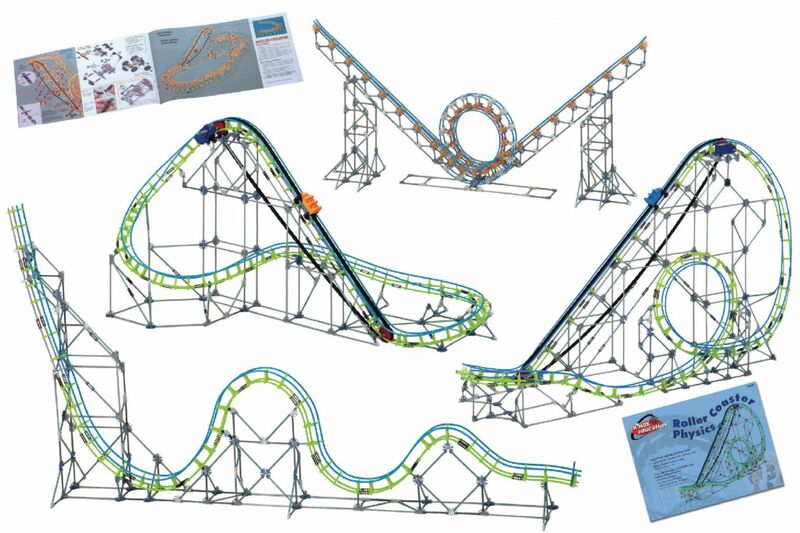 The K'NEX® Education Roller Coaster Physics Set is designed to help students as they learn how to design and conduct scientific investigations, identify variables of the problem, and select appropriate independent and dependent variables for investigations. They determine the steps necessary to control a variable, observe and record the response, and interpret the results. They measure, record, and analyze the data for patterns, construct scatter plots or histograms as a graphic representation of the data, and mathematically interpret those graphs. The teacher's guide offers ideas that outline ways students in grades 11 and 12 can use the set to study physics, specifically mechanics. The lab use a hands-on, student-inquiry-based approach. The teacher is encouraged to develop each lab investigation using the 5E model (Engage, Explore, Explain, Extend, and Evaluate) of inquiry while students utilize the Four Question Strategy for experiment design. 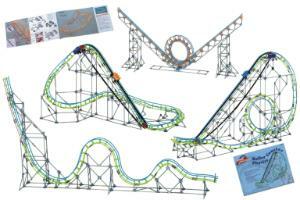 The set includes 2039 K'NEX parts, which is enough to build 11 roller coasters, inclined planes, and loop systems. It supports six to eight students working in teams. Building instructions are included. Packaging: This set is packaged in three strong storage trays with snap-on lids.